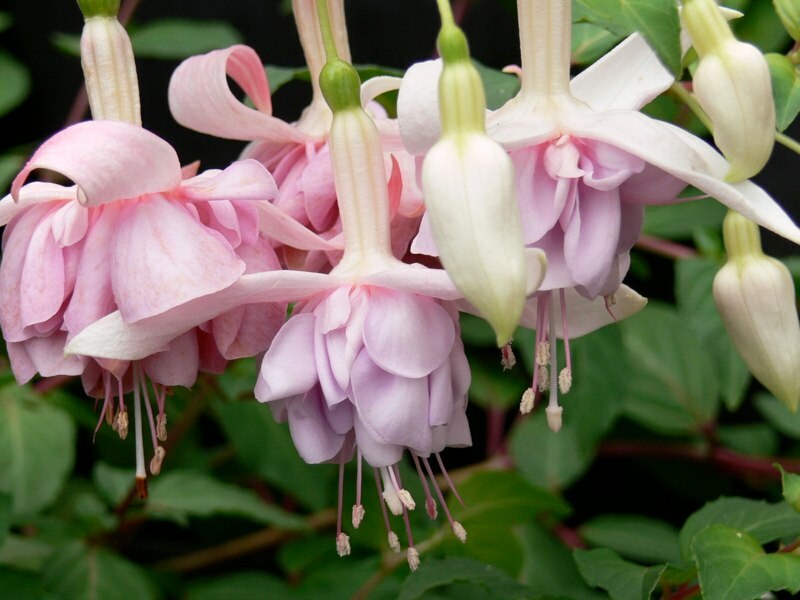 Fuchsia “Happy Anniversary” – Double basket. Sepals white, corolla is silvery-pink. Well protected from frost and heat in sun, shade or semi-shade. Prune in winter and fertilise in spring. Price includes secure individual mail order packaging, parcel tracking and GST.